Staff Picks from the Big November Sale! Our Big November Sale is in full swing and we have some amazing discounts for you! 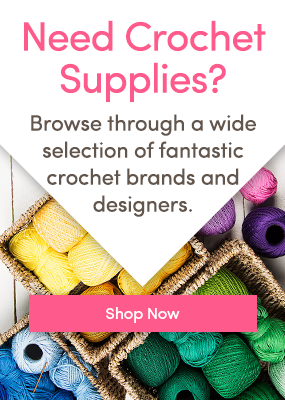 Now, we know these many great offers can be overwhelming, so some of the LoveCrochet team are here to help you choose with their top picks of the Big November sale. MillaMia Naturally Soft Aran is a go-to for me – it’s buttery soft and super cozy. The perfect merino option for winter hats, even for babies. And the color range is vibrant and fun, adding lots of cheer to garments for winter. And it’s even super practical as it’s machine washable! Rowan Handknit Cotton comes in gorgeous blue shades that are my favourite to work with! Being 100% cotton, it means it’s the perfect option for me to crochet away for my baby niece – Cloud and Aubergine will be the perfect match for her Christmas present! What a squishy gorgeous merino wool yarn! I fell in love with this yarn because of the blues and greens, and merino wool is so lovely next to the skin. This yarn has a lot of loft, which makes it so comfortable in the hands to knit, and it’s is a yarn that’s ideal for any aran weight pattern. Don’t you just want to snuggle up in Katia Air Alpaca? This superfine Alpaca blend yarn is so soft while hard wearing and comes in some amazing colours. My favourite shades for this winter are ‘rust’ and ‘dark beige’. Nothing beats a 100% cotton yarn for the softest, baby-friendly projects, and DMC Natura Medium is definitely my fave! With the dreamiest range of ice cream pastels, I could sit and crochet baby blankets all day with this! I love West Yorkshire Spinners yarns because they are ‘reared, sheared and spun’ locally – and Blue Faced Leicester yarns are so nice to use and wear! I love the nice firm twist in this yarn and it comes in truly classic colours. This is a yarn for everyday blankets that won’t let you down! This is the such a soft aran cotton yarn! The colours are really modern, bright and zingy. It’s perfect if you are allergic to animal fibres like me, you will love the fact that you have found a yarn that is so soft and comfy to wear. I love the GGH range – it’s full of affordable, great quality yarns, in modern colour ways! GGH Flow is a lovely example of air blown yarns, it’s super soft and light to wear – great for layers and so cosy! Which yarns are you going for in our Big November Sale? Which Big November Yarn are You? Winter Sale: SNEAK PEEK! Top Picks from Fashion Week Sale yarn – blanket bargains!